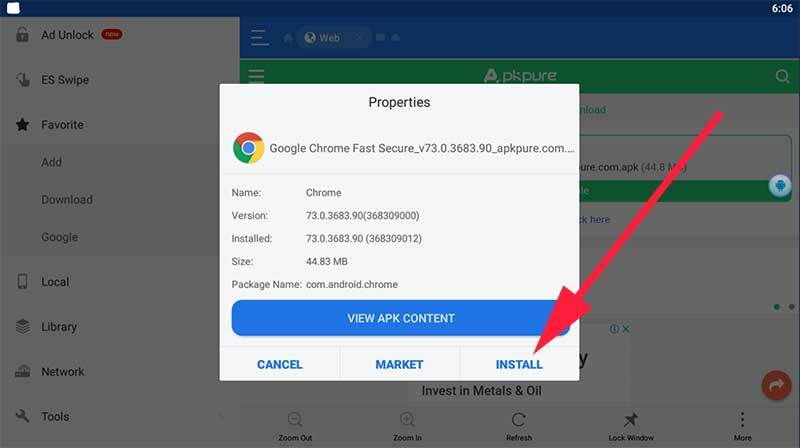 Why installing Google Chrome is difficult that you think. Because chrome is not on Nvidia Shield play store. 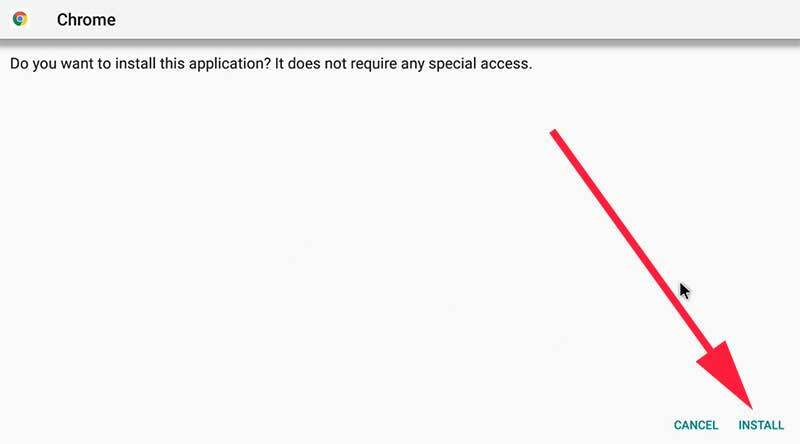 So how could you install that application. There is simple way of doing that. 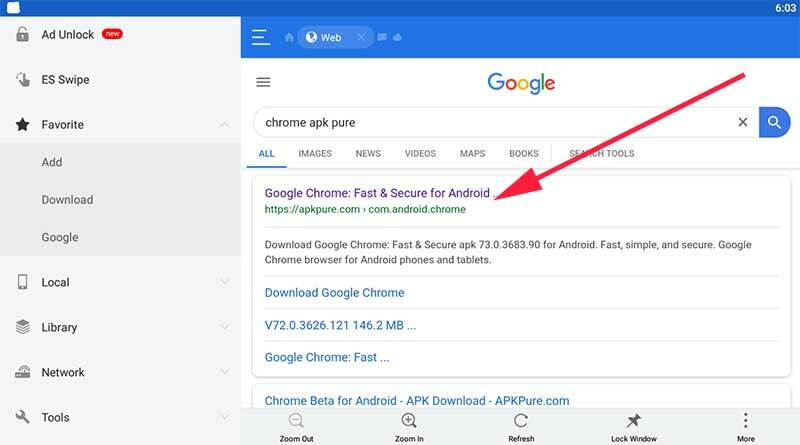 Follow below mention steps with me and finally you will get latest version of Google Chrome on your device. 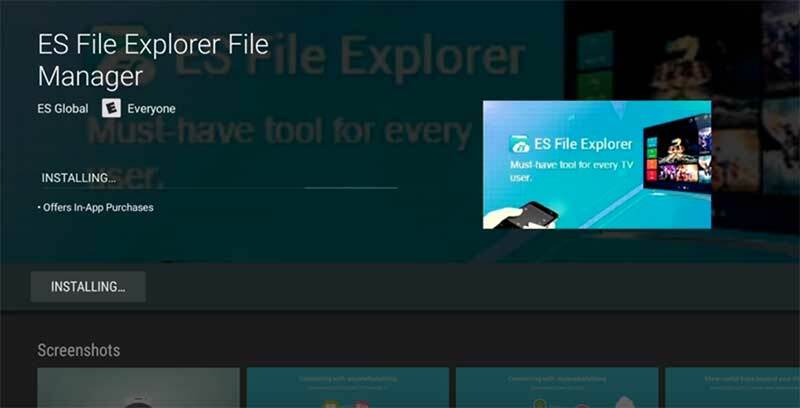 Why ES File Explorer?. 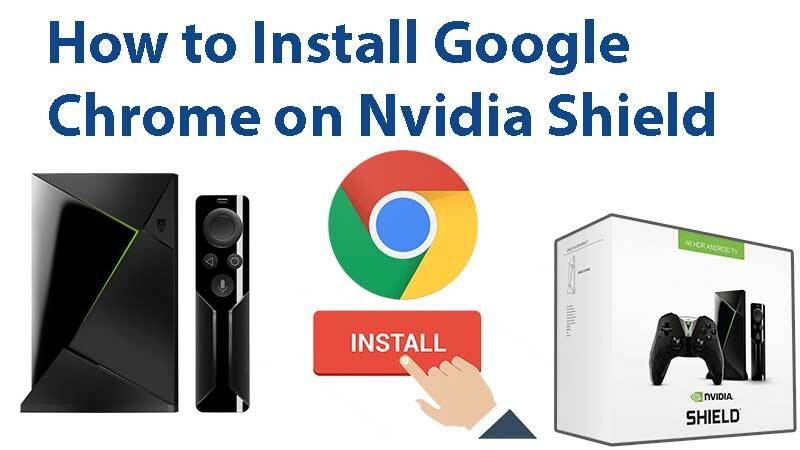 It is because it is the most simple way to get Google Chrome on Nvidia Shield. 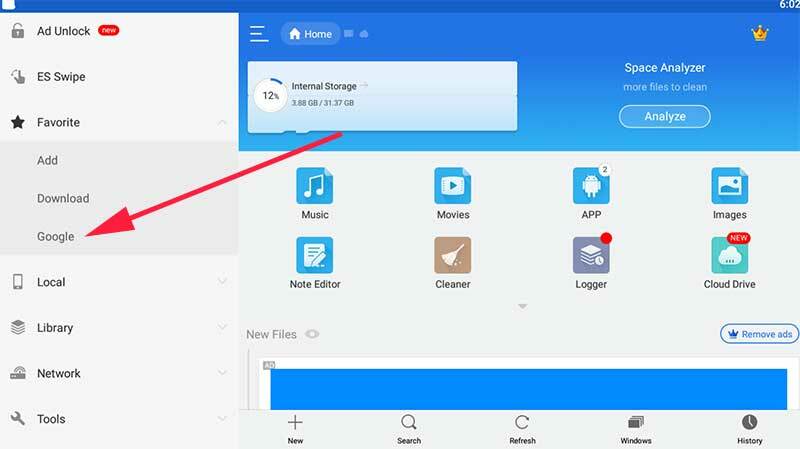 This file explorer has built in web browser that helps us to download chrome easily. 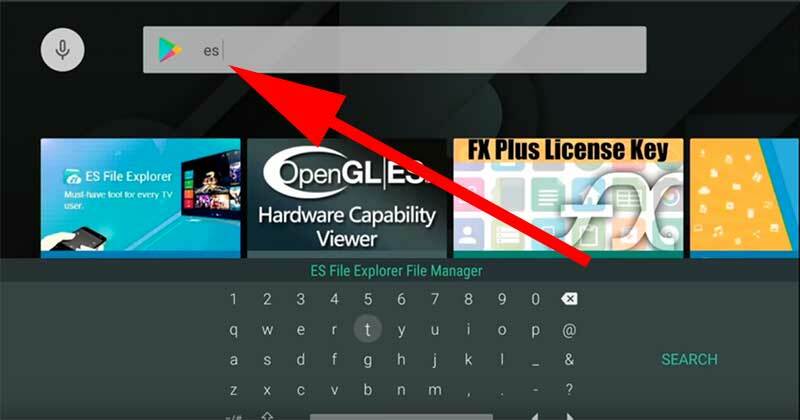 Go to Play Store and Search "es"
Once you type “es” on your play store search area you can see es explorer shows like below picture. 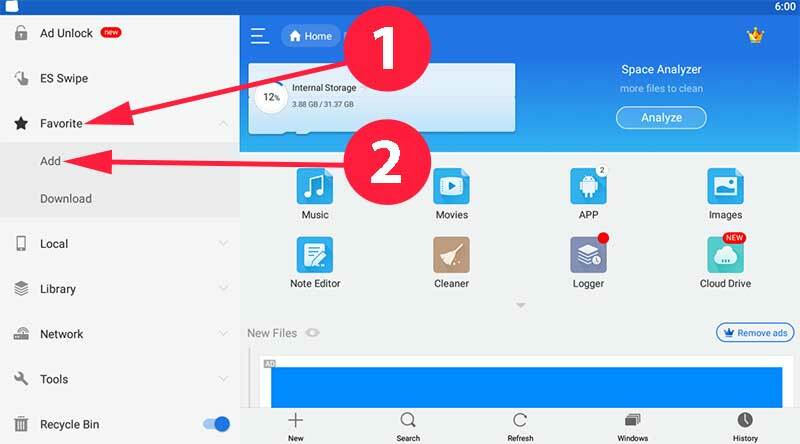 Once you have complete installing File explorer app ,Go to favorites and click add. Add Google URL to path as show below. Now you can see google is appear inside the favorites. Go ahead and click to load Google search. 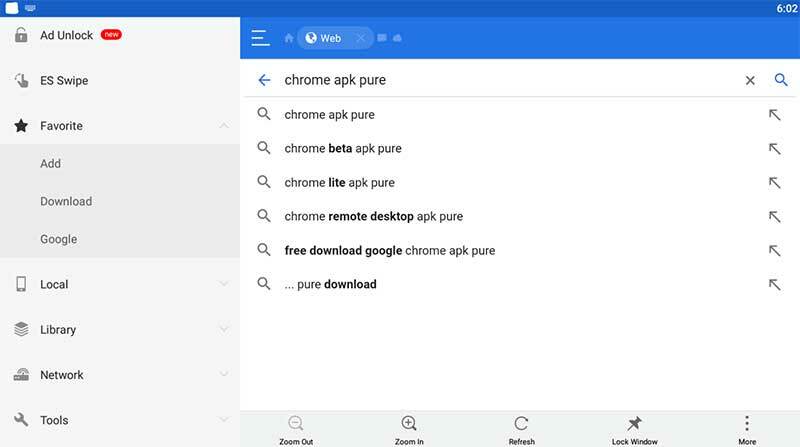 Inside Google search type “Chrome apk pure”. Select first result from the search. 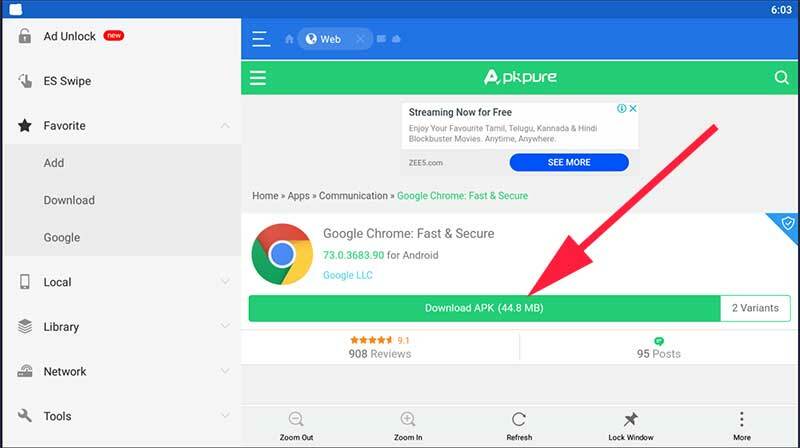 Click on wide green button “Download Apk” to download latest version of Google Chrome. 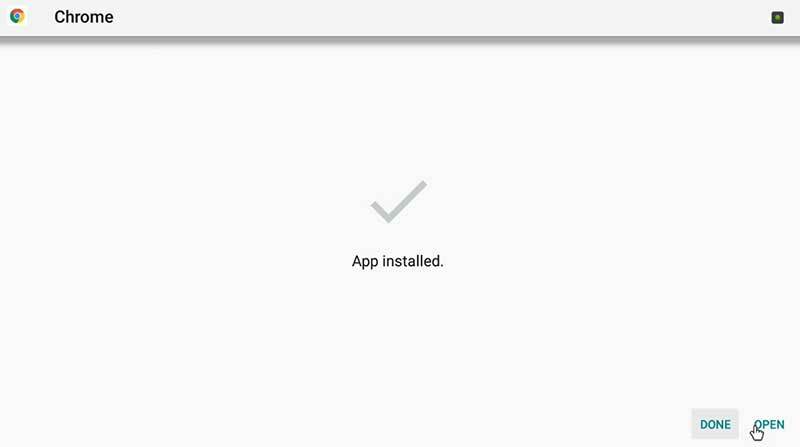 Now click on “Install” button to begin installation. Installation will proceed and stop at one point with a message like below. 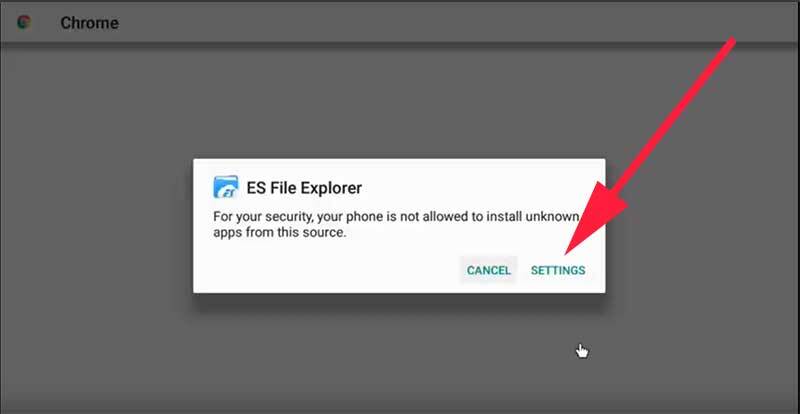 Allow permission for ES File Explorer. You will see that installation has cancelled after you enable permissions and go back previous screen. Don’t worry. No need to download the same app twice. Open favorites and click on download. 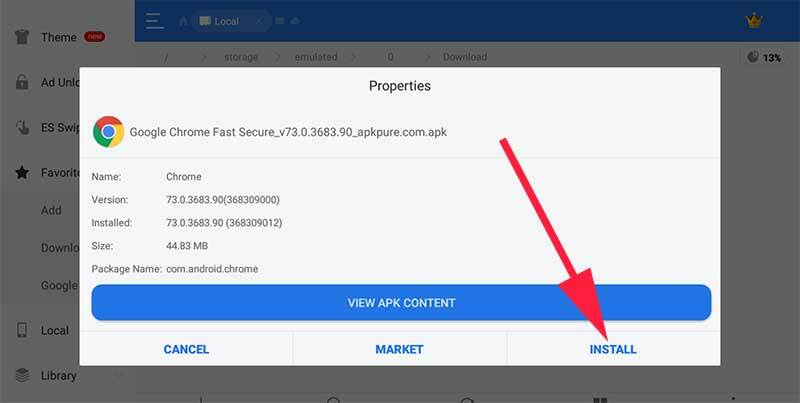 There you can find the downloaded chrome apk. Now as previous you will popup with install button. 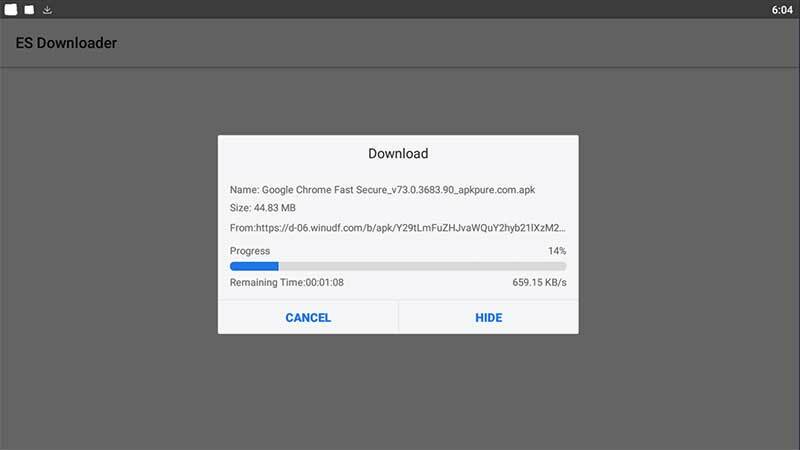 Enjoy Google Chrome on your Nvidia Shield. That’s all. I know it is a bit long process. In order to stop confusions and fails I have mention each and every step here. Some may find bit messy due to including all steps with pictures. By the way hope you will be able to install this web browser. Using Google Chrome you can download any Movie app you like easily by Googling or visiting. 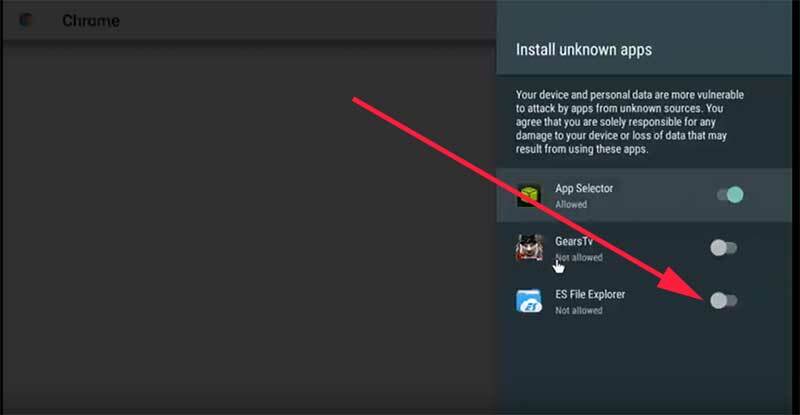 Some Recommended apps for your Nvidia Shield. 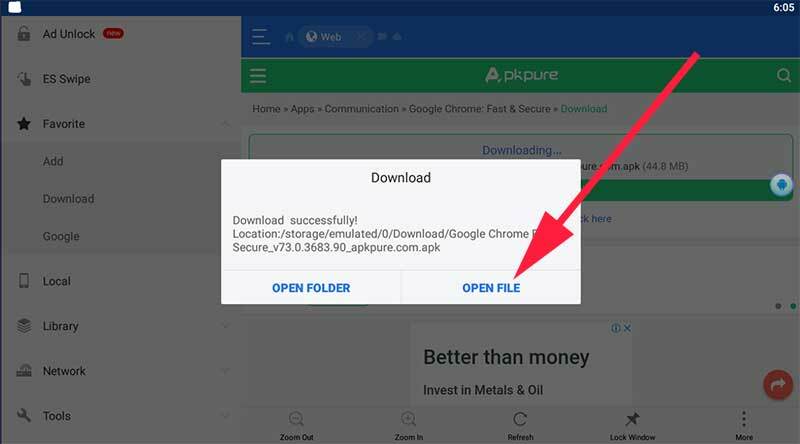 URLs included so that you can easily download them using Google Chrome. Watch Movies And TV Shows using your Android powered device. Support Android phones, Tabs, and TVs. Watch hundreds of Movies and TV shows for free.